I'm continuing my Summer Under the Stars celebration with a look at the life and career of Olivia de Havilland. Here she is in a publicity still for Santa Fe Trail (1940). 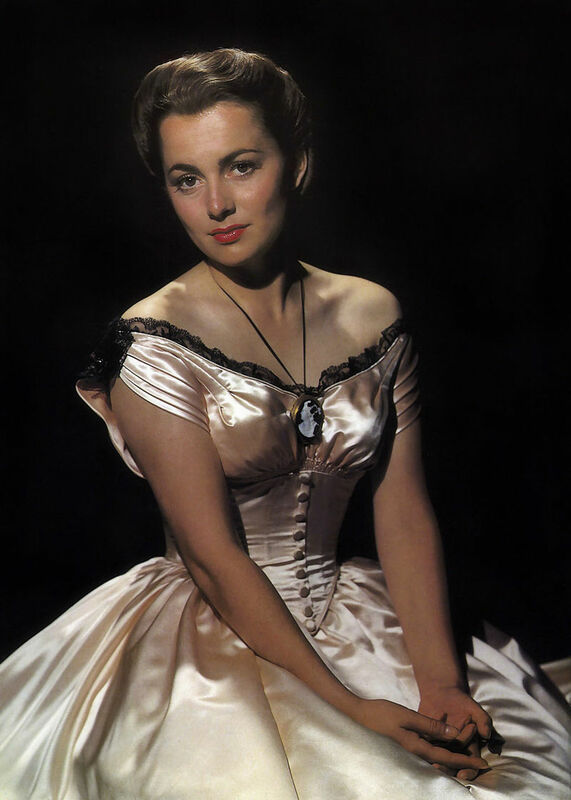 TCM is celebrating the career of Olivia de Havilland with 13 movies on Aug. 2. Here's what you need to know about one of old Hollywood's living legends. Academy Awards: Two best actress Oscars for To Each His Own (1946) and The Heirress (1949). She was nominated two more times for best actress for Hold Back the Dawn (1942) and The Snake Pit (1948). She was nominated for best supporting actress for Gone With the Wind (1939). Brief bio: De Havilland, who turned 99 on July 1, is one of old Hollywood's living legends. She began her career at Warner Bros. in 1936, and she quickly became a popular leading lady opposite Warner's leading swashbuckling star Errol Flynn. De Havilland and Flynn would become a popular screen team, appearing in eight films together, but de Havilland longed for more substantial parts. She had a breakthrough role as Melanie Hamilton in Gone With the Wind (1939), but she still wasn't satisfied with her parts at Warner's. Her fortunes improved after a lengthy legal battle with studio, and de Havilland went on to win two Best Actress Oscars. De Havilland only appeared in a few films after the birth of her two children in the 1950s, but they are among her best, including Light in the Piazza (1962) and Hush...Hush Sweet Charlotte (1964). 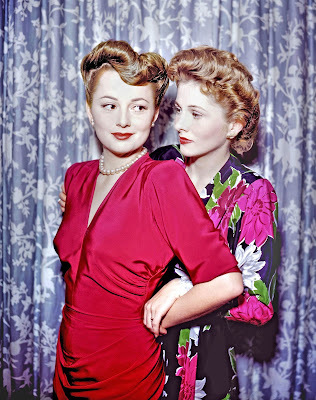 Olivia de Havilland (left) and her sister, Joan Fontaine. Fun fact: De Havilland and her sister, Joan Fontaine, are the only two sisters to win best leading actress Oscars. Signature role: Gentle Southern belle Melanie Hamilton in Gone With the Wind. 1. The Adventures of Robin Hood, airing at 8 p.m., is the best of Errol Flynn and de Havilland's eight movies together and one of the most joyous old Hollywood films ever made. 2. De Havilland was never lovelier than in The Private Lives of Elizabeth and Essex (1939), airing at 4 p.m., where she plays a young woman who is Queen Elizabeth's rival for the affections of the Earl of Essex (Flynn). 3. De Havilland trades on her sweet persona for a chilling turn in the horror film Hush . . . Hush Sweet Charlotte (1964), airing at midnight. A great film not featured on Summer Under the Stars: De Havilland is unforgettable as an innocent young woman who is emotionally damaged by the casual cruelty of her father (Ralph Richardson) and the young man (Montgomery Clift) she loves. 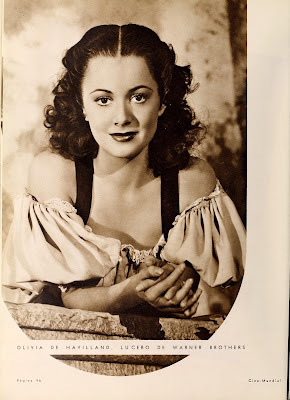 Fan magazine flashback: A lovely 1936 portrait of de Havilland from the Spanish language fan magazine, Cinemundial. For yesterday's article on Gene Tierney, go here. There'll be plenty more on de Havilland on social media. Follow me on Tumblr, Google+ or Pinterest or like us on Facebook. Follow us on Twitter @oldhollywood21.